Did you know that there are about 10,000 cardiac arrests in the workplace each year in the United States? Effective CPR provided by a bystander in the first few minutes of cardiac arrest can increase the chances of survival by two to three times. Responding to a medical emergency is something that all employers need to plan for. Regardless of your industry or company size, first aid training is beneficial to your workplace. 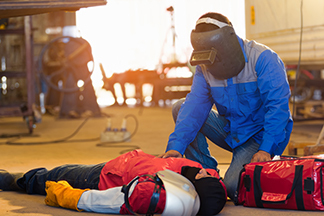 Under most circumstances, the Occupational Health and Safety Administration (OSHA) requires employers to have one or more people certified to perform first aid, CPR, and automated external defibrillator (AED) response. Here we answer some common yet important questions. Am I required to have my employees certified to perform first aid, CPR, and use an AED? 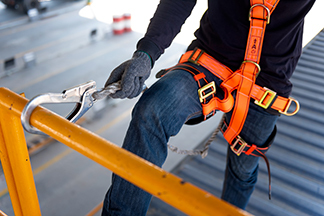 OSHA requires that in the absence of an infirmary, clinic, or hospital in near proximity to the workplace which is used for the treatment of all injured employees, a person or persons shall be adequately trained to render first aid under 29 CFR 1910.151. The average response time for first responders to arrive once 911 is called is between 8-12 minutes. In a cardiac event, for each minute defibrillation is delayed, the chance of survival is reduced by approximately 10%. For this reason, it is recommended that all workplaces have employees certified in first aid, CPR, and AED response on each work shift. How many employees should be trained? This number depends on the size of your facility, its layout, and how many shifts your facility works. There should be at least a primary and a back-up responder on each shift, with additional responders to ensure a quick response time in all work areas. In the event of a cardiac event, first aid/CPR/AED-certified employees should be able to collect their response equipment and access the injured employee within 3 minutes. How do my employees become certified? There are several ways to obtain certification. Employees can go offsite for a certification course, or the more preferred method is to have a Certified First Aid/CPR/AED trainer come on site to certify your team. By having a trainer on site, employees do not need to travel from your facility, their time away from the job is kept to a minimum, and employees are more willing to volunteer to be certified. 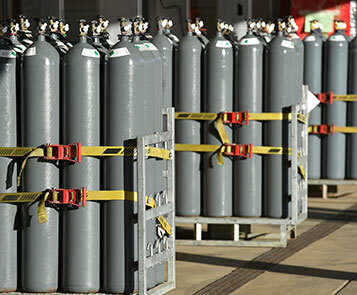 Onsite trainings can certify up to 14 employees per 5-hour training session. What else do I need for my first aid/CPR/AED response program? Employers must designate an employee responsible for maintaining the company’s emergency response program. This designated person can be an EHS manager, a facilities manager, or a consultant. Maintaining a first aid/CPR/AED response program involves a few key components. Employee Training: A sufficient number of employees must be trained. This should include multiple employees on each work shift. Employees must be retrained every 2 years. First Aid Kit: First aid kits must be stocked and placed in convenient locations for all employees to access. 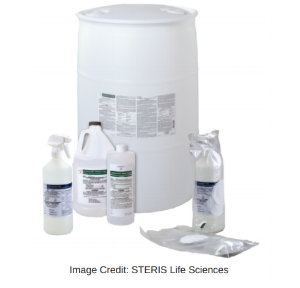 OSHA advises that employers follow the ANSI Z308.1-2015 standard for first aid kit supplies. The ANSI standard advises that first aid kits contain burn dressings, exam gloves, cold packs, and a number of other pieces of helpful supplies. The employer is responsible for keeping the kits stocked and ensuring that supplies have not expired. AED: This piece of life-saving equipment can be rented or purchased and should be placed in a location accessible to all employees. Employers must ensure that AEDs are inspected regularly and must replace expired batteries and pads as necessary. Response: Employees should know how to respond if they are injured. This involves posting a list of the first aid/CPR/AED-certified employees in a visible location, and training all employees on injury response (initiating first aid/CPR/AED response, notifying management, incident response, documentation, and follow up). Documentation: This includes documentation of trained employees, incident investigation, OSHA logs, and the Emergency Response SOP. The SOP should designate responsibilities, inspection content and frequency, emergency response procedures for common emergencies, and follow-up actions. Ensure your employees are properly trained so that, in the event of a workplace medical emergency, they can minimize the harm. For more information about Triumvirate’s first aid/CPR/AED onsite training, click the button below.